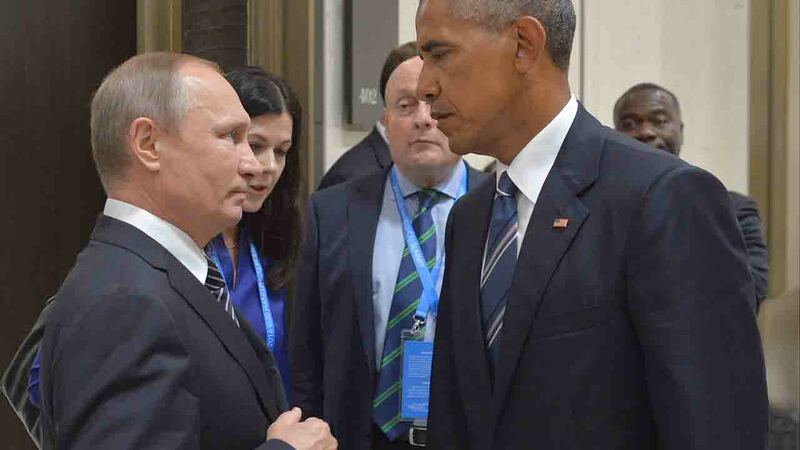 HANGZHOU, China -- President Barack Obama and Russian President Vladimir Putin have agreed to keep up negotiations over a cease-fire agreement for Syria, a senior Obama administration official said Monday. Obama and Putin me t for 90 minutes on the sidelines of the Group of 20 economic summit in Hangzhou, China, said the official, who spoke only on grounds of anonymity because this official wasn't authorized to discuss the subject by name. Their discussion came hours after top U.S. and Russian diplomats failed to seal a deal aimed at providing access to humanitarian aid for thousands of civilians in the war-torn country. Obama and Putin clarified the remaining gaps in the talks, which largely involve how the deal would be implemented, the official said. The official added that the two leaders directed their teams to meet again quickly, possibly as soon as later this week. Obama had a news conference scheduled at the summit site later Monday.